Rooms with views in harmony with nature, this is a unique setting for newly weds and romantic breaks. 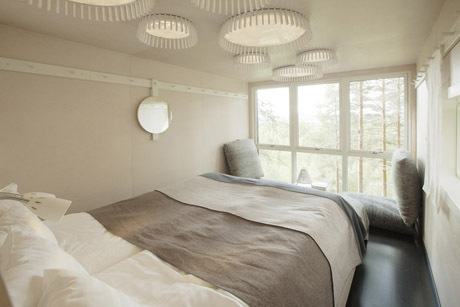 Each ‘room’ is architect-designed suspended from the forest – even the sauna! 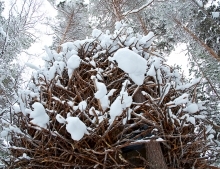 Choose your abode: the human sized Bird Nest, the Blue Cone, Cabin or Mirror Cube. 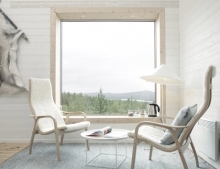 Combine your stay with a stay in Luleå - a city that looks out to the archipelago of islands into the Gulf of Bothnia. Arrive in Luleå. You’ll be picked up from the airport and transferred to the Treehotel which is a drive of around one hour. 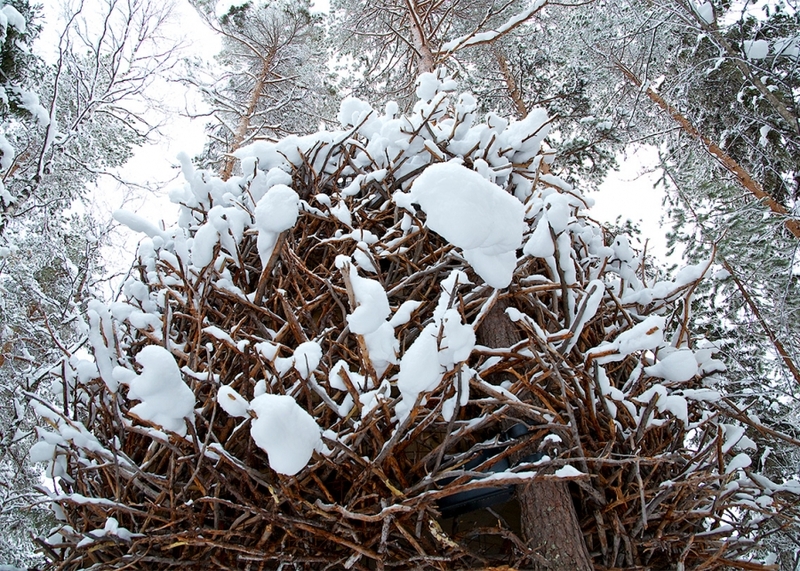 Enjoy the wintry landscapes and overnight in a tree room of your choice. You can choose the same accommodation each night or a combination of more than one room. Every Tree Room has its own living and sleeping areas. The interior of each Tree Room is uniquely designed by the architect, with its own furniture and lighting to complement the individual theme. With views to the Harrads landscape, the rooms are a snug location from which to view the Northern Lights, if luck is on your side. 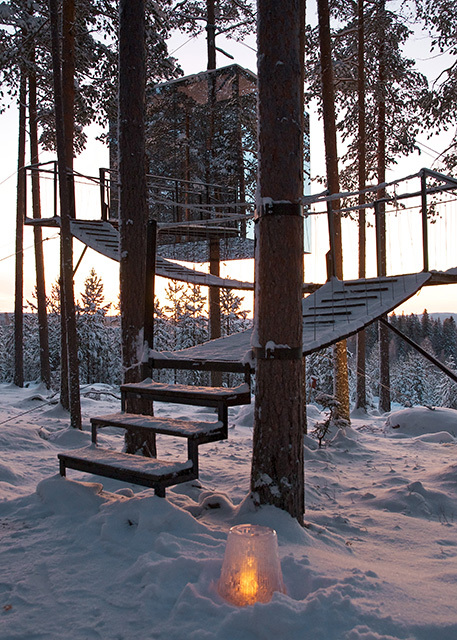 Take an optional sauna in the trees. As night falls, try and catch your first glimpses of the Northern Lights in the dark skies. 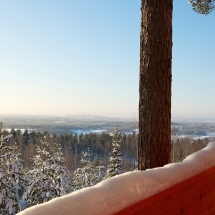 Wake up in the trees and enjoy a fabulous view across the Boreal forest. Breakfast is served in the nearby guest house by your hostess Britta. Enjoy the day either relaxing in your Tree Room or join one of our optional winter excursions. All the rooms have a unique view on the surrounding forest and valley. The interior of each Tree Room is uniquely designed by the architect, with its own furniture and lighting to complement the individual theme. Round and cosy hidden in the trees, the Bird’s nest is a perfect little hideaway for lovebirds of all ages or families with imaginations that like to run wild. Inside you’ll find a double bed and a further bunk bed. The interior, on the other hand, is familiar and exclusive. It’s a spacious environment where a family with two children can comfortably spread their wings. The walls are clad with wood panels and the windows almost disappear in the exterior’s network of branches. The room is 17m² and has separate bedrooms, bathroom and living area. You enter the Bird’s Nest by way of a retractable staircase. Waking up to a view of the Lule River Valley at the end of one’s bed in the morning is a true luxury and the Cabin’s unique selling point. The Cabin is reached along a suspended bridge high in the canopy which is remarkable in itself. The room is 24m² and accommodates two people, with a double bed, bathroom and terrace on top of the roof. Breakfast and morning at leisure. 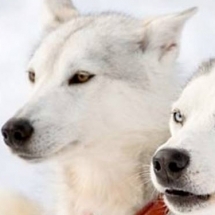 In the afternoon you will be transferred to Luleå where you’ll stay for the final night. Enjoy some time to explore the city with our recommendations. Visit the Gammelstad Church Village just outside the city which is included on the World Heritage List as the largest and best preserved church village in northern Sweden. Overnight at Clarion Sense Hotel in a standard double room (room upgrades are available). Alternatively you can extend your stay in the Treehotel if you prefer. 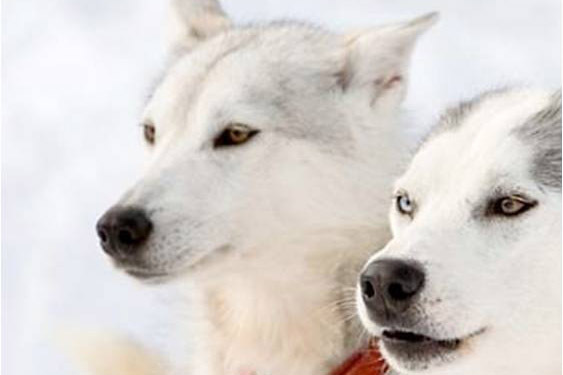 Or why not hop on the train and combine your stay with a visit to the ICEHOTEL in Jukkasjärvi (December - April). Transfer to the airport and return. 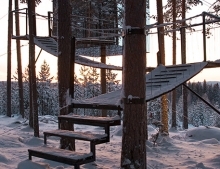 Or extend your stay in Sweden with extra nights in Luleå or at the Treehotel. The giant 4x4x4 metre mirrored walls reflect the surrounding landscapes thereby blending in seamlessly to a truly stunning panorama. An invisible infrared film prevents wayward birds from colliding with the cube. 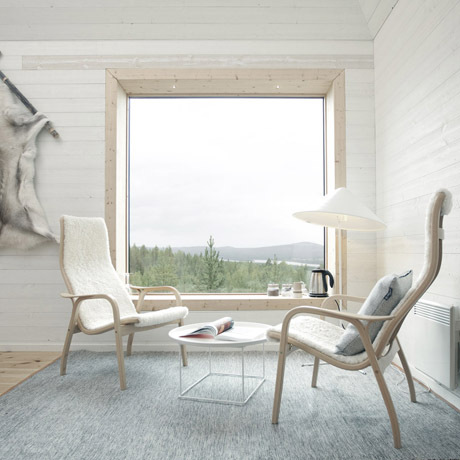 The interior is made from plywood with a birch surface. The six windows provide a stunning panoramic view. The Mirrorcube offers excellent accommodation for two people with a double bed, bathroom, lounge, and rooftop terrace. A 12-metre-long bridge leads up to the treeroom. The UFO is in contrast to the other rooms which blend in with the forest – this one is a true alien specimen and perfect for space lovers young and old. The UFO is built for four people, two adults and two children, with separate bedrooms, bathroom and living area over two floors. 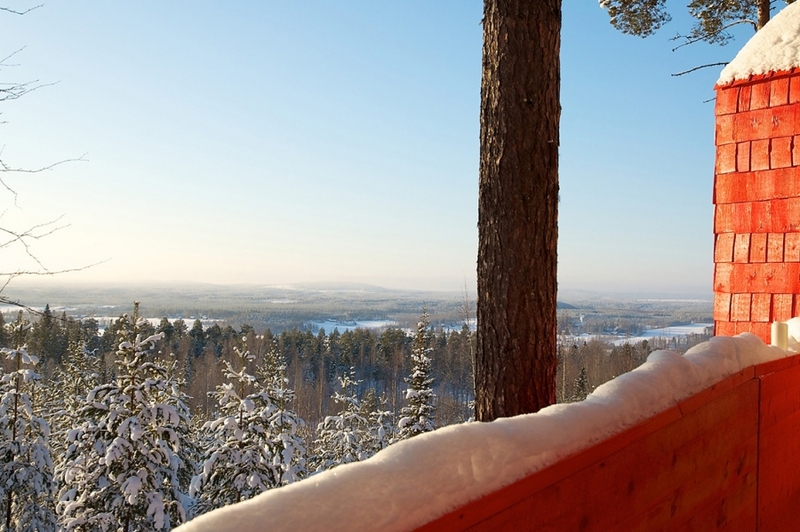 Stylish in design and practical in nature, the Blue Cone offers a secluded spot to enjoy the Lapland views. There are four beds, with a separate sleeping loft, bathroom and living room. The Blue Cone is particularly suited to those who’d prefer to stay closer to ground level or perhaps need ease of access which is via a flat bridge. The room is a traditional wooden structure with three foundations in the ground to give a sense of height and lightness, but also stability. From £965 per person (excluding flights) based on two travelling. This trip is also available in the summer. 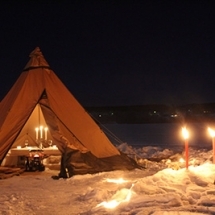 Honeymooners and romantics will love the ice-dining experience at the Treehotel. 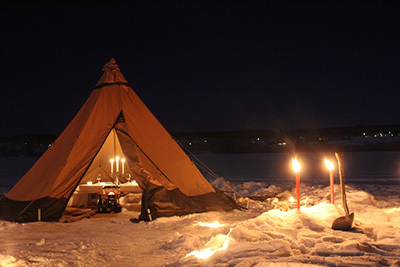 All alone in a cosy lavvo tent on the frozen lake, you'll be served a dinner by candle-light. If you're lucky the Northern Lights may provide a spectacular finale to the experience!